Even if you do not plan to perform complex repairs on your car, there are certain tools every driver should have handy. 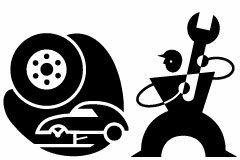 Your car may break down or perhaps you want to perform basic maintenance on it rather than take it to a mechanic. Whatever your reason, it is recommended you carry these tools in a box in the trunk of your car. Keep a flathead and Phillips screwdriver in your car. Get two different sizes of each type of screwdriver. You will need these tools to change headlights or windshield wipers. And if you have to remove your car battery, you will need a screwdriver. The reality is that you never know when a screwdriver will be helpful if something happens to your car. This is a specialized wrench that you can use to apply a predetermined amount of torque to a bolt or nut. Repairs are completed faster and with more precision when you use a torque wrench. It does take some knowledge to use this type of wrench so be sure you have the information you need if you are using the wrench to change a tire or spark plugs. Many newer vehicles come with a small jack. But do not assume that jack will be sufficient if you need to change a tire. It is a good idea to try the jack before you actually need it. You may find that another jack is easier to operate or otherwise more suitable for your situation. Too often, drivers remove the tire iron from their trunks to make room for other items. This is a mistake that should be addressed immediately! Dead car batteries are inconvenient. But it can seem worse when another driver stops to help you but neither of you have jumper cables. If you do not already own jumper cables, buy a good set that is easy to use. You can keep them stored in the trunk of your car or you can buy an actual tool kit that includes jumper cables. You may not be near a gas station or car repair shop when you notice a problem with one of your tires. A tire pressure gauge is a small instrument that can be stored in the trunk or glove box of your car. If you determine that one of your tires seems to be losing pressure, you can use your spare tire until you can get the other tire looked at by a mechanic. It is recommended you check the pressure in your all of your tires, including your spare, at least every month. If you keep windshield wiper fluid or motor oil in your trunk, you should also have a funnel you can use to prevent the fluid from spilling or splashing. When fluids spill on engines, the smell of the fluid burning off once you start the car can be overwhelming. It is better to avoid those fumes by using a funnel. Be sure to clean the funnel after each use so fluids do not mix and cause engine problems. Owners of new vehicles will find that this tool pays for itself in no time. Cars with sophisticated computers can be particularly annoying if lights on the dashboard turn on and stay on. You may not even have a real problem. For example, if your "Check Engine" light comes on, you may actually have left your gas cap loose after the last fuel-up. Knowing this in advance will save you money and reduce stress. Every driver should have a good set of tools in their car. You can quickly address small problems as well as prevent problems from getting bigger!